This entry was posted in Computers & Internet, GNU/Linux, Linux, Linux & OpenSource, Privacy, security, Security package for Ubuntu, Seguridad, Tech, Technology, Technology and Software, Technology News, Tecnologia, tutorial, Ubuntu and tagged arbitrary data, delete, erase, forensic, Linux, n times, permanently delete, Privacy, random bytes, security, Shred, Trash, Ubuntu, usb, USB flash drive, usb keys on February 29, 2012 by Galigio. In our last post we examined the possibility to recover deleted data from USB keys and disks. Today we want to focus your attention on the proper way to destroy sensitive data from your disks. On Ubuntu you have the possibility to move any file to the Trash but, as we demonstrate in our last post, anyone has the possibility to recover them using a simple, basic GUI, program called PhotoRec. 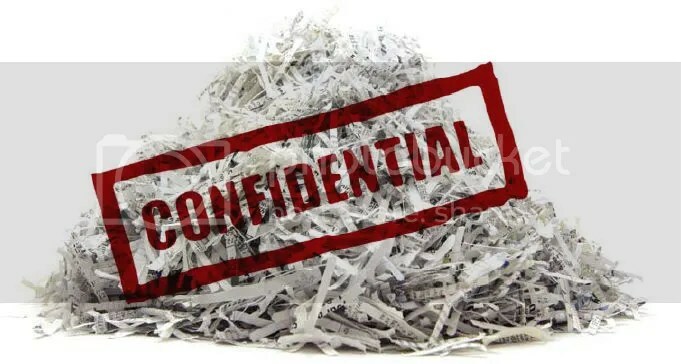 If you want to be reasonably sure that none will be able to recover a file you decided to permanently delete you have to use the Shred command. Shred is native in Ubuntu Kernel and literally delete your files overwriting them repeatedly with arbitrary data. After you delete a file with Shred you can be sufficiently sure that recovering procedures will not succeed. As usual we must warn you that technology is rapidly evolving and what could be considered sure today, tomorrow will be out of date! So, if you think you need to preserve your privacy in the best way, don’t forget to change the hard disks regularly and mechanically destroy your old ones. Sincerely we hope our readers haven’t this kind of need. In this way you will visualize the grammar and all the possible options offered by this program. In our experience, to operate in the fastest way, we decided to add Shred on the Nautilus Menu and have the command ready with a simple right click on the mouse. Then you launch the program following this path: System->Preference->Nautilus Actions Configuration. This entry was posted in Computers & Internet, GNU/Linux, Linux, Linux & OpenSource, Privacy, security, Security package for Ubuntu, Seguridad, Tech, Technology, Technology and Software, Technology News, Tecnologia, tools, tutorial, Ubuntu and tagged arbitrary data, delete, erase, forensic, Linux, n times, permanently delete, Privacy, random bytes, security, Shred, Trash, Ubuntu, usb, USB flash drive, usb keys on February 28, 2012 by Galigio. 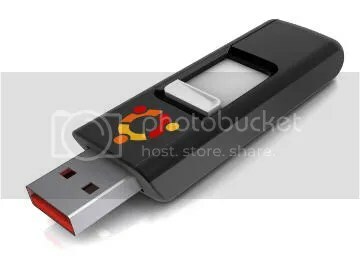 Everyday we use USB keys to transfer data without transmitting them through the t. The USB keys and portable disks are small, light and their data capacity allow us to move in privacy huge files. This idyll sometimes is broken by a fatal mistake: we unintentionally delete an important file. Normally, if we are smart we recover the erased file in the Trash but in other situations when we realize the mistake we had made is too late. In this circumstances is very import to stop to use our USB key or portable disk till we are able to use a good software for data recovering. On Ubuntu you have a wise number of dedicated software that can do this job for you, the most powerful run on Terminal as testdisk, foremost, and scalpel but you can also use a “minimal GUI” software as PhotoRec. Immediately a GUI Terminal interface appears and you have just to follow the instruct ions you visualize on your monitor. 7 – Wait till PhotoRec finishes the recover operations. PhotoRec is fast and, during our tests, we were able to recover almost the 100% of data. Not bad!!! This entry was posted in Computers & Internet, GNU/Linux, Linux, Linux & OpenSource, linux problem, Linux Tips, News, Tech, Technology, Technology and Software, Technology News, Tecnologia, tools, tutorial, Ubuntu, Ubuntu tips and tagged deleted files, fatal mistake, PhotoRec, Rcovering, recover, Synaptic Package Manager, Ubuntu, usb, USB flash drive, usb keys on February 25, 2012 by Galigio. When it comes to the most recent generation of computers, there is an option to start an operating system right from a USB stick, without an actual installation process. This may be an option to use or test a different operating system without affecting in any way the one that is already installed. Starting from version 8.10, Ubuntu can be installed on a USB stick in a more easy way by every single user, regardless of their knowledge in Linux. To perform the installation, the user must have a version of 8.10 or later on CD and a USB stick with a capacity of at least 700 MB free space available, but this can vary according to the version of Ubuntu that you want to use for this process. 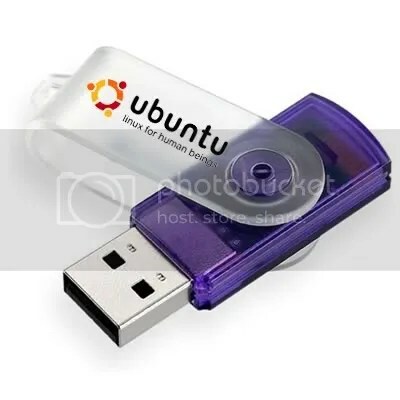 To install Ubuntu on the USB stick, you can simply boot the Live CD mode of Ubuntu or alternatively, if already installed on your on your system, you can follow the following simple procedure to do this, which is described in some basic steps below. First of all, you need to access the Ubuntu menu bar, via System> Administration, choose Create a USB startup disk. At this point, you will be asked to specify the source disk image of Ubuntu. If you have the Ubuntu CD in optical drive, it should appear in the list and will be selected. 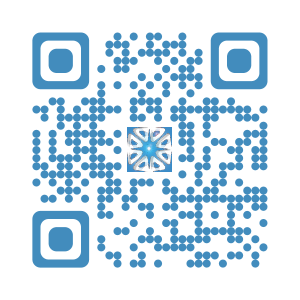 Otherwise, click Other and specify the location of the image. The .iso format will do it, but other versions may work as well. When completed, you can use the stick on any computer that can boot from such units. Just tell the computer’s BIOS to use this option and restart the respective machine. The same procedure can be applied for the any distribution of Linux, so this is a helpful tutorial for everyone. This entry was posted in Computers & Internet, GNU/Linux, Linux, Linux & OpenSource, Linux distribution, Linux Distros, Tech, Technology, Technology and Software, Technology News, Tecnologia, Ubuntu, Ubuntu on a USB key, Ubuntu on a USB pendrive, Ubuntu tips, USB Linux and tagged BIOS, Compact Disc, Linux, Operating system, Ubuntu, Universal Serial Bus, USB flash drive on June 27, 2011 by Galigio.